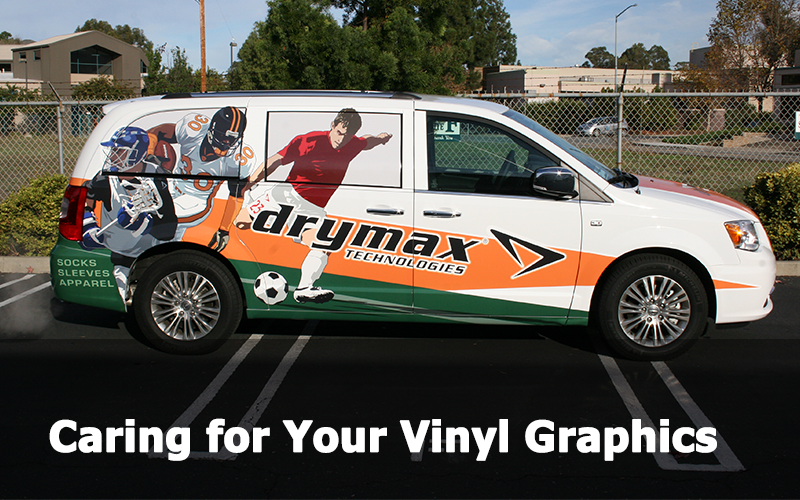 So you have your brand-new graphic wrap on your car. As you drive out of the parking lot, you look forward to showing off your vehicle wrap to thousands of potential customers out on the highways and in cities. After a little while, however, dust collects and makes the colors look shabby. Mud happens. Maybe even a few bird droppings happen. Your vibrant new vehicle wrap doesn’t seem quite as exciting anymore. Fortunately, vinyl is an extremely easy-to-clean substance, and you can take some very simple action to make your vehicle graphics look as bright as the day they were applied to your car. In fact, in addition to making your car look much snazzier, a good cleaning job can make your graphics last longer. UV rays from the sun are the biggest threat to your wraps’ endurance, and particles from car exhaust, smog, and other pollutants can weaken your wrap’s resistance to the sun. Soap it up — but carefully! Some people cast fate to the wind and bring their wrapped cars through car washes. This is not recommended, because it could scratch the finish or even contribute to peeling edges. Instead, give the car a good hand-wash, using the least scratchy or abrasive sponges and towels you can find. Don’t scrub the wrap like you would scrub a dirty dish. Gentleness is key! Blasting the vehicle with a stream of high-pressured water is NOT a good idea. When you do rinse, use as low pressure of water as you can and keep that water cool to avoid over-heating portions of the vinyl. Just like when you are scrubbing, avoid the edges of the wrap. Use a chamois over a terry cloth towel to avoid agitating the finish too much. When appropriate, a coat of wax can be a great protectant against the sun’s damaging UV rays. Think of it as “sunscreen” for your graphics. Once you’ve carefully washed your vehicle, you can apply a petroleum free wax to the car. It is very important the car is clean first, otherwise you’ll be sealing in dirt and pollutants that could damage the vinyl. If you have a matte graphic wrap, however, beware of waxing! If you choose to wax, you could create glossy spots on the finish, and totally defeat the purpose. Contact the 3M Certified professional team at eGenoa if you have more questions about the care and keeping of your vinyl graphics, wall wraps and vehicle wraps. We’re happy to help guide you in prolonging the life of your graphics.